Goodbye Old Brushes, Hello KareCo Tangle Buster! I absolutely loved the way this brush was designed. The curve forms to your head and makes brushing without tears so much easier. I experienced little to no breakage in the bristles. I generally get my hair inspiration from fellow Naturalistas on YouTube, Instagram, and blogs. I would definitely recommend this brush to friends and family because my mom is a cosmetologist and my sister is also into natural hairstyling and products for delicate scalps. I definitely loved the flexible bristles. I feel as though the bristles make brushing a lot more carefree and I don’t have to worry as much about pulling my hair out or breaking my ends. 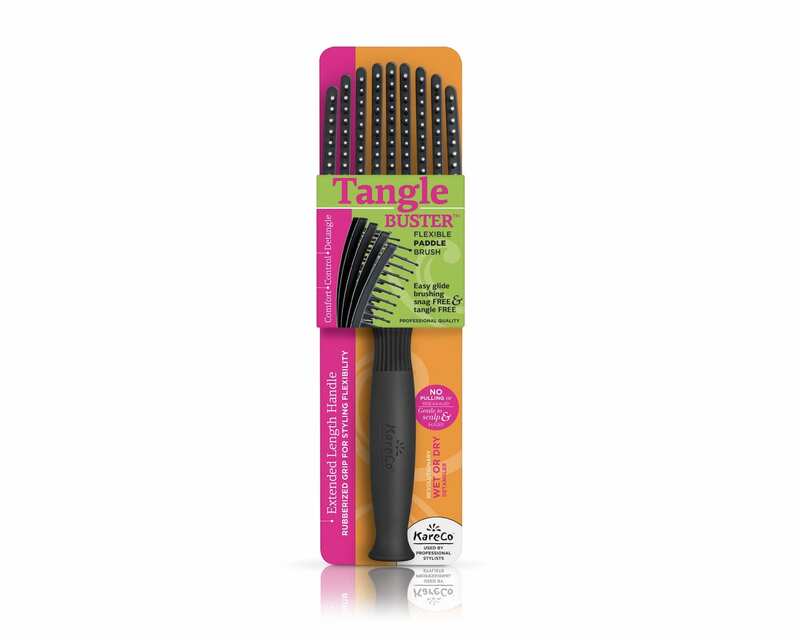 KareCo – what a perfect name for the company that graciously bestowed the Tangle Buster brush on us. Two thumbs up!